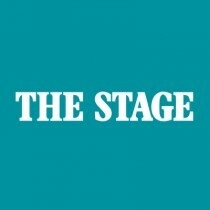 Alistair Smith, currently deputy editor of The Stage, is to become acting editor following Brian Attwood’s departure. As announced last week, Attwood will leave at the end of this month after 20 years as The Stage’s editor. Smith will become acting editor of both The Stage’s online and newspaper offerings from March 1. His appointment forms part of a wider review of The Stage’s editorial offering, which was undertaken in 2013 and will also see an online editor appointed within the next six months. Smith joined The Stage in 2004 as a reporter before becoming news editor in 2005 and then deputy editor in 2010. He has edited The Stage 100 list since 2005 and helped oversee the launch of the publication’s new iPad and digital edition last year.